murakami/Nelson developed a 3,000 s.f. 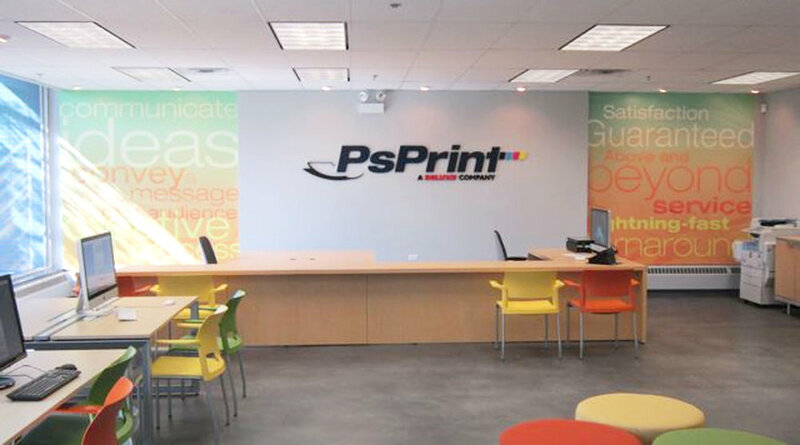 interior prototype design for Delux Corporation's new PsPrint retail stores. For the first store in the Chicago area, the prototype was adapted to an existing 1,600 s.f. space. 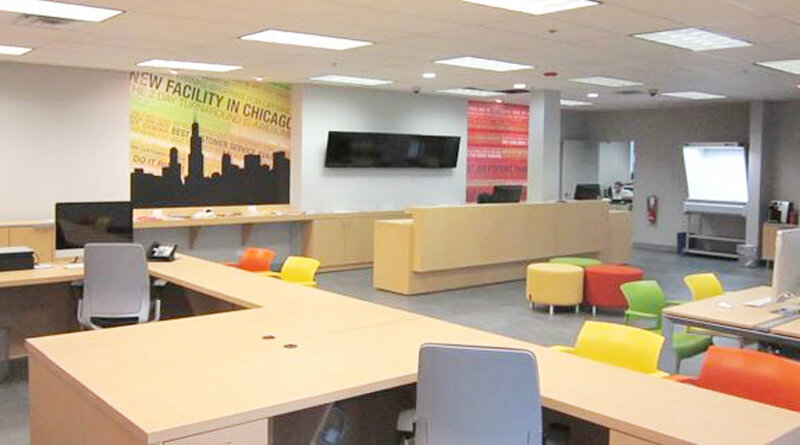 murakami/Nelson provided design criteria documents for a design/build contractor in the Chicago area. Services included selection of furnishings, finishes, and color. The design incorporates recessed wall areas that highlight large graphic prints, an important product line for PsPrint and wall monitors for continuously changing product information.